In California and other States, railroad trains and tracks are present in most every community. 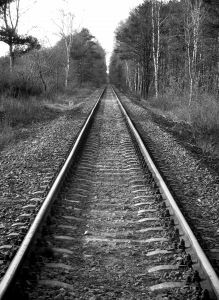 Unfortunately, there are severe personal injuries and, in some instances, deaths that take place on or near railroad tracks in California. One such incident was recently reported in Riverside, California. A woman (Susan Dibene) from Riverside was pushing a baby stroller across the train tracks when the baby stroller got stuck in the track. The frantic woman tried to dislodge the stroller. She was finally able to push the stroller away from the approaching train but was not able to flee out of the path of the train. The 2 year old child did not suffer any injuries. Tragically, Susan Dibene died as a result of the train accident inures. Due to the fact that a death or serious injury resulted from this train accident, it will be investigated by the Los Angeles Sheriff’s Department, Riverside Police Department, Metrolink, and the Burlington Northern Santa Fe Railway, and other government authorities. See Mother Hit by Train in Riverside California.